TDK-Lambda Corporation, a group company of TDK Corporation, was established in Tokyo, Japan, in 2008. Founded through a merger with TDK’s power supply business, we now are a leading company in the manufacture of power supplies for industrial equipment. Although there are several thousand power supply makers operating around the world, TDK-Lambda is the only one with a full-function setup embracing everything from development and manufacture to sales and maintenance. We have R&D sites in all five key areas of the world―Japan, China, Europe, the United States, and Asia. By taking account of the special characteristics of each area, TDK-Lambda meets the various power supply needs of our customers. TDK-Lambda is the only power supply maker that has access to ferrite, which is used in the transformer of power supplies, and important constituent parts, such as inductors and capacitors, within its Group. This enables us to develop power supply products from the level of materials and components. In addition, TDK-Lambda develops innovative power supplies by utilizing core technologies nurtured so far, such as circuit design technology and thermal/electromagnetic field evaluation and simulation technology. 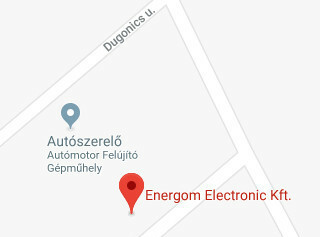 Our company Energom Electronic has been working with TDK-Lambda as the Hungarian distributorfor more than 25 years and we are known as one of their oldest and most successful distributor in the European market. TDK is formed in Japan to manufacture ferrite cores. The initials stand for Tokyo Denkikagaku Kōgyō (Tokyo Electronics and Chemicals). Headquartered in Queens NY, Lambda would soon grow into a world class power supply manufacturer. Coutant and Lambda, two companies on opposites sides of the Atlantic, would become key players in the TDK-Lambda story. Lambda relocate from Queens to Melville, Long Island NY. Unitech plc is a UK based venture capitalist conglomerate with a special interest in electronic components, equipment and controls. Veeco is an American company incorporated in 1945 by two of the Manhattan Project scientists. Veeco is short for Vacuum Electronic Equipment Company. Lambda Electronics is formed in the UK. Lambda Electronique is formed in France. The initials stand for Nippon Electronic Memory Industry Company. Nemic specialises in producing computer memory components and switching power supplies. Lambda GmbH is formed in Germany. Veeco brings Lambda Electronics and Nemic Co. together to create a formidable power supply manufacturer. Nemic Lambda Israel is formed. Unitech acquires a 30% interest in Qualidyne Systems Inc, a California-based power supply manufacturer. Unitech increases its interest in Qualidyne to 58%. Lambda Electronics is formed in Italy. Siebe acquire Unitech Holdings. Siebe specialise in the automation and control systems industries. With this acquisition it becomes one of the UK's largest engineering businesses. The Lambda Group acquires Electronics Measurements Inc, a company initially formed in 1945 to manufacture electronic instruments for the American military's R&D markets. Invensys is formed through the merger of Siebe plc and BTR plc. This is achieved through a merger between Nemic Lambda Japan and Nippon Electric Industry Co. Ltd.
TDK acquires the Lambda companies from Invensys plc. Densei-Lambda retain 49% shares. Densei-Lambda is delisted from the Tokyo and Osaka Stock Exchanges. This is achieved through the alliance of Lambda Europe and Nemic Lambda Israel. TDK merges Densei-Lambda with its existing power division, the TDK Power Systems Business Group. TDK-Lambda opens a new European Logistics and Supply Centre in Achern Germany. TDK-Lambda recognised as the market leader for Industrial and Medical power supplies.